Ok, we’ve still got a bit of sun, but let’s be honest, we’re in the run-up to winter and winter clothing – which could include this A.P.C. Peacoat. On the face of it, this is just like any other peacoat on the market, but there are a few added extras to make it worth the outlay. 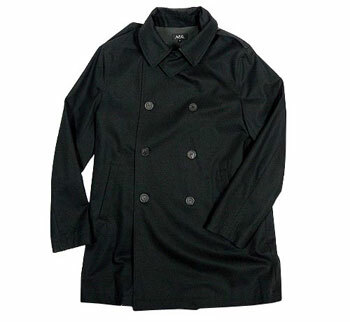 That includes a sleek finish on the 100 per cotton coat, a removable wind collar and epaulettes, adding to the expect double-breasted fastening, side pockets and inside pocket. All of which will set you back around £260.